Secular Pro-Life Perspectives: "I believe you've killed someone, but I will fight for your right to do it!" "I believe you've killed someone, but I will fight for your right to do it!" 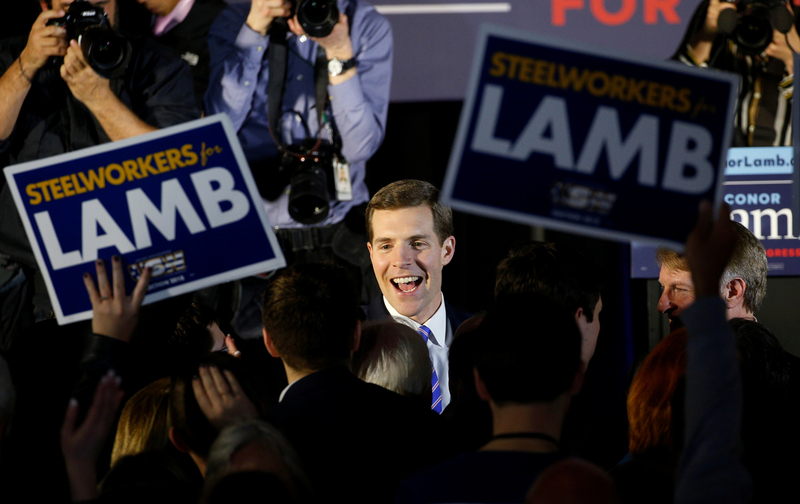 Pro-choice Democrat Conor Lamb is the newest member of the House of Representatives, having squeaked out a special election win in Pennsylvania with just 641 more votes than his Republican opponent. The race was seen as a referendum on President Trump, who won the conservative district by 19 points in 2016. There has been no shortage of commentary about what this means for the 2018 midterms, and in particular, whether Lambs' "personally pro-life, politically pro-choice" schtick should be replicated by Democrats in other red districts. But much of this coverage has ignored a key variable, namely, the reason Pennsylvania was having a special election in the first place. There is no data to suggest that the district's residents suddenly abandoned their pro-life principles en masse, but such a betrayal from a traditionally pro-life candidate could have made Lamb's "personally pro-life" pitch more appealing. That doesn't make either Lamb or his voters correct, of course—Lamb's claim that he must vote pro-choice for reasons of church-state separation is particularly laughable—but I can understand why voters might have felt their vote wouldn't necessarily lead to a truly pro-life legislator anyway, so why bother. By broadcasting his belief that, lawmaking aside, a fertilized egg is a human life, he’s essentially scolding women who’ve had abortions. "I believe you've killed someone, but I will fight for your right to do it!" may be the best progressives can hope for from those who are morally opposed to abortion, but it’s also a good way to alienate people on both sides of the issue. While I obviously disagree with Cauterucci on the morality of abortion, she's hit upon a critical insight here. In recent years, the abortion movement has been trying to distance itself from its traditionally anti-science lines of argument (e.g. "it's just a clump of cells") in favor of a more modern approach that acknowledges the lethal reality of abortion but justifies it anyway. Salon's 2013 article "So what if abortion ends life?" is a paradigmatic example. If Cauterucci is right that "I believe you've killed someone, but I will fight for your right to do it" alienates people, what messaging options does the abortion lobby have left? The fundamental problem is that, in the long run, there is no way to both be honest and portray abortion in an attractive light. Abortion kills. Abortion targets the most vulnerable members of our human family. We must demand politicians who wholeheartedly oppose abortion—both personally, and politically.